Mind the Gap, the DDoS Gap! A DDoS Gap occurs whenever DDoS traffic bypasses a company’s DDoS mitigation defenses to penetrate the target network. DDoS gaps are a major source of concern for companies, since there is very limited visibility of DDoS gaps without in-depth analysis and testing. Why do DDoS Gaps happen? In an ideal world, once a DDoS mitigation posture has been deployed and configured satisfactorily all DDoS traffic would be mitigated, there would be no leakage and no DDoS gaps. However in reality this is seldom the case. To understand why we need to understand the complexity that DDoS attacks pose for mitigation devices & services. 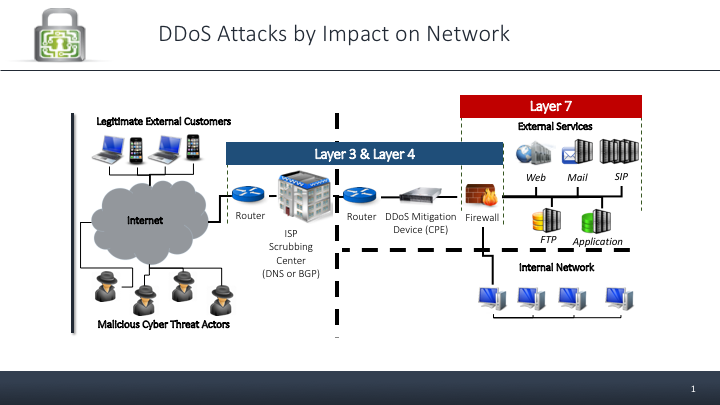 First, DDoS attacks strike networks on three different Open Systems Interconnection (OSI) layers. Second, attacks from the different OSI layers generally have different characteristics and third, within each of these three OSI layers DDoS attacks take many different forms, thereby significantly complicating attack identification and mitigation (See Figure 1 for OSI Attack characteristics and attack type examples). Due to this complexity, mitigating DDoS attacks has no single “Silver Bullet” but rather a combination of DDoS mitigation systems. 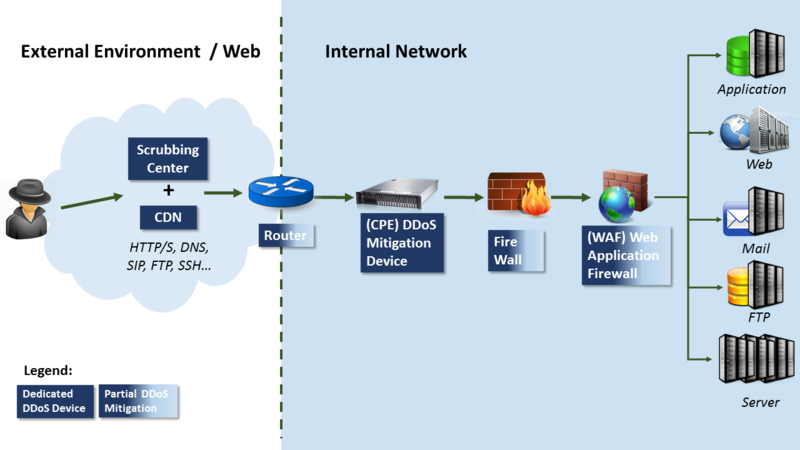 These systems include Cloud based Scrubbing centers and Content Distribution Networks (CDN) that are usually employed to mitigate high bandwidth Layer 3 & Layer 4 DDoS attacks as well as Customer Premise Equipment (CPE) mitigation devices that are mostly used to fend off the more complex Layer 7 attacks (See a recommended DDoS Mitigation posture depicted in Figure 3 below). Whether companies use one or more mitigation systems to protect their networks and online services from DDoS attacks, there are many different components (as illustrated in Figure 2 above) that need to be finely configured and accurately synchronized with the production network it is defending for optimal mitigation performance. At this point in time – our mitigation is perfect, we have no DDoS gaps. The competitive landscape, however, constantly pushes companies to improve their service offerings to drive revenue and make internal operations more efficient to cut costs. Companies’ networks constantly need to adapt to new servers and services that are being added to networks. In order to synchronize DDoS mitigation perfectly with the changing network we would need to match each network change with a respective fine-tuning in the DDoS mitigation posture. In reality, companies do not constantly re-configure and fine-tune their DDoS mitigation postures and this is precisely where DDoS Gaps emerge. The problem is that visibility of DDoS gaps is nonexistent to cyber security personnel responsible for production uptime. Companies do not know how well their mitigation is performing or where their configuration problems are, leaving them and their vendors to troubleshoot issues at the very worst possible time, that is, when systems are brought down by a DDoS attack. The most effective way to identify DDoS Gaps proactively is DDoS Testing. DDoS Testing is an iterative process of simulating a wide variety of real DDoS attacks in a highly controlled manner to allow companies to understand where their mitigation is performing and more importantly, where it isn’t. And thereby enable companies to work at consistently reducing their DDoS Gaps to a minimum. 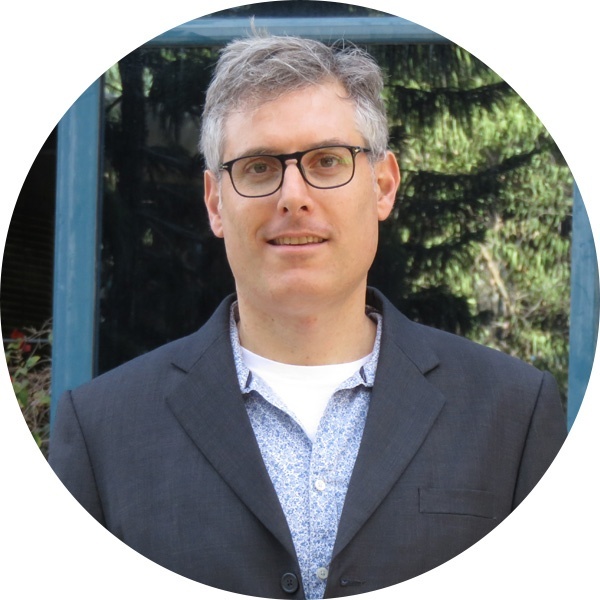 Yair is Vice President of Business Development & Operations at MazeBolt. He brings more than 20 years of Account Management, Business Development & Finance experience and excels in rapid growth environments. Most recently, Yair spent five years in the homeland security industry where he established and led the Account Management team for multi-billion dollar projects. Yair holds an MBA from INSEAD, Fontainebleau and a B.A in Philosophy & Economics from the University of Haifa, and enjoys early morning open water swimming. Strengthen your resistance to cyber attacks!